Foorannagh is in the civil parish of Kilcummin. The civil Parish corresponds with the following Church of Ireland parish of Kilcummin, Galway West. In general, the civil parish and the Church of Ireland parish are the same as is the case in the Kilcummin Oughterard area. Other Forms of the Name with the authority source (if provided) in italics. Foorannagh contains 3½ acres all under rough pasture, it was formerly connected as headland to Drimmanakele. In Lough Corrib, it belongs to the townland of Drimmanakele. No record of any people living in Foorannagh. Foorannagh is in the civil parish of Kilcummin. Clonbern & Kilkerrin in Galway East. 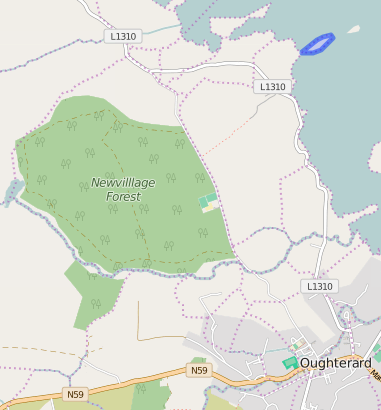 It is located at 53° 27′ 37″ N, 9° 19′ 31″ W.
No image on Google Maps for Foorannagh.